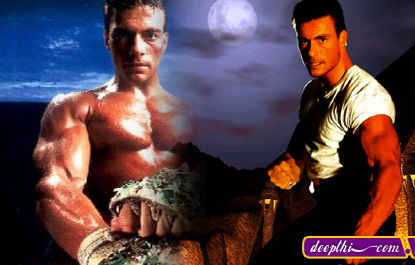 When Jean-Claude Van Damme became an international film star, there was some debate as to his ring accomplishments. Former multiple World Kickboxing Champion Don "The Dragon" Wilson even offered Jean-Claude a "$100,000" bounty match to get into the ring and fight him. Van Damme brushed off the "challenge" as a publicity stunt. But, the truth of the matter was that Jean-Claude Van Damme had indeed had a kick-boxing career, which turned out to be very successful on the European scene. He fought under his birth name of Jean-Claude Vandenberg. Fighting as a middleweight he captured a version of the European Middleweight Kickboxing Championship in 1980 with a first round knockout which was recorded in less than a minute. His career however, lasted only a few years as his interest lay in a film career. Jean-Claude's record was 12-1 with 12 knockouts. Brussels, October 1960. This large European city is the capital of a kingdom of 10 million inhabitants, Belgium, enclosed between France, Germany and Holland. That's the place where Jean-Claude Van Varenberg is born and grows. He is timid and not very sure of him. At school, the child is Jean-Claude Van Dammeespecially motivated by drawing and sport, the studies do not interest him much. He prefers to observe and read: the muscular heroes of comic strips fascinate him, but they seem to him so inaccessible! Jean-Claude is twelve years old when his father takes him to Claude Goetz, graduate trainer of karate. The courses of Goetz are effective but hard and reserved to adults. The young teenager is not gifted, he is stiff and apprehensive. But he wants to progress at all costs and his savage determination does not escape to his trainer.